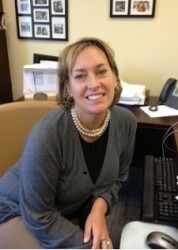 Regina Riccioni is the Director, Corporate Education and Training at Middlesex County College. She joined the College in 2013 after professional roles at Thomas Edison State College as Director, Office for Professional and Workplace Learning and Rutgers University as Assistant Dean/Director, Douglass Project for Rutgers Women in Math, Science and Engineering. Regina earned her doctorate in Adult and Continuing Education from Rutgers University, Graduate School of Education and is excited for the opportunity to serve the field in her current role at the College. Regina is proud of her recognition by the Chamber and is grateful for the opportunity to serve the Chamber on the Board and work with the businesses and entrepreneurs that the Chamber serves. Middlesex County College was founded in 1964, and is celebrating its 50th year in operation. The College promotes lifelong learning to strengthen the economic, social and cultural life of the community. Its credit and noncredit programs, and support services, all led by dedicated faculty and staff, prepare students for continued learning, advanced degrees, civic participation and rewarding careers. MCC graduates are ready to remain on the cutting edge, to keep learning, to be leaders and to meet the needs of our ever-changing world. Over five decades, tens of thousands of Middlesex alumni have gone on to earn advanced degrees, start careers and contribute to their communities. Many return to the campus to share their educational and career paths to help inspire students to reach for their dreams. Others come back for the new courses needed to maintain currency in their professions. Alumni also advocate for the College and provide financial support for students as others once did for them. This year has been one of reflection while celebrating the College’s founding 50 years ago. We also have been preparing for the future with new buildings and strategic plans to assure that every student has the opportunity to achieve success in life: family, career and community. Many will realize their full potential based on what they learned at Middlesex. The College’s dream is for every student to have the opportunity to rise to be a leader who helps to move our society forward.